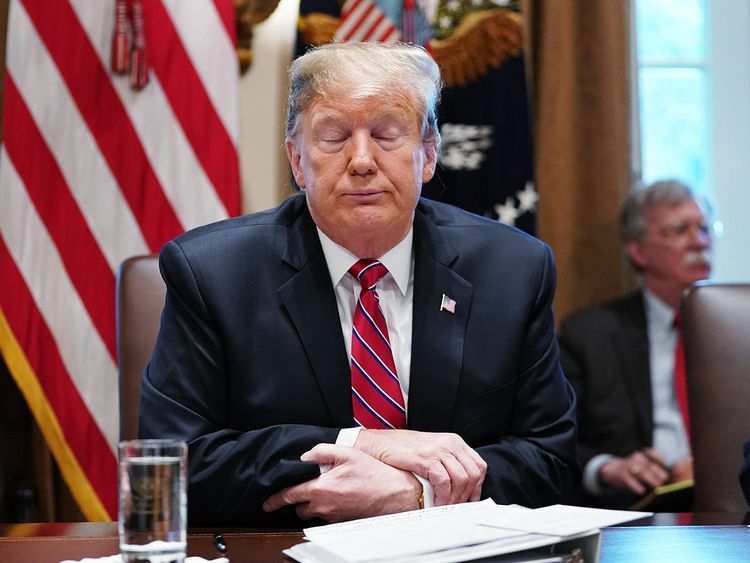 The US president criticized the spending deal reached Monday between Republican and Democratic negotiators, in part because it only provides for about a quarter of the $5.7 billion (Dh21 billion) in funding he wants for a wall on the US-Mexico border. “We’ll take a very serious look at it” when the bill arrives, Trump told reporters at the White House. Should that fail, funding will lapse for one quarter of federal operations — as it did for five weeks until mid-January, the longest shutdown in US history. “We hope that we can file the papers tonight, we hope that we will pass it tomorrow,” Hoyer said, adding that the vote would not take place before 6:30 pm (2330 GMT). “It appears to be that we’re moving ahead and that the president will sign this bill,” Hoyer said. Trump complained that Democrats were being “stingy” by agreeing to only a fraction of the funds he had demanded. But he said the administration has access to “a lot of money” being repurposed from existing federal funds to cover unmet construction costs.